Toodaloo Katie: Paz Torras: A brand worth keeping an eye on. Paz Torras: A brand worth keeping an eye on. As this month has been a crazy mishmash of work and fun, I have been neglecting my blog a little so I am sorry for that - please forgive me! In one of my previous posts on Pret a Porter Paris, I mentioned a brand that I discovered while back in Toronto (at Lola and Gigi) called Paz Torras. I purchased a winter jacket from them that I absolutely love. For me, winter outerwear is always difficult to find because I want something that is warm enough for Canada, doesn't have really long arms (like most ski/snowboard jackets), and that doesn't make me look like a marshmallow. 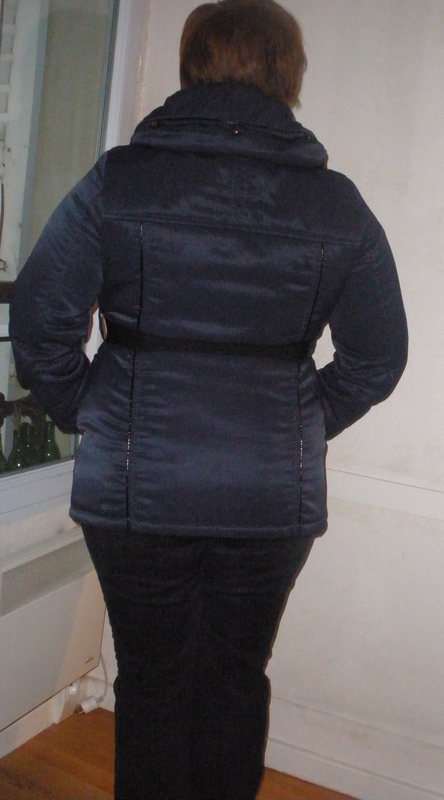 In my mind those don't seem like big requests but when I went out in search of a coat I found out quickly that these were in fact tall orders, until I found this jacket from a Spanish company called Paz Torras. It's an Apres Ski style jacket with a poofy collar that hides a rolled up hood for when it snows unexpectedly. It has a long zipper as well as a button flap over the zipper to keep the wind out and a great elastic belt that is comfortable and doesn't cut you in two. I love the shiny blue colour, the belt that give the jacket a real shape, the decent sized pockets and of course the details of the black vinyl piping on all the seams. 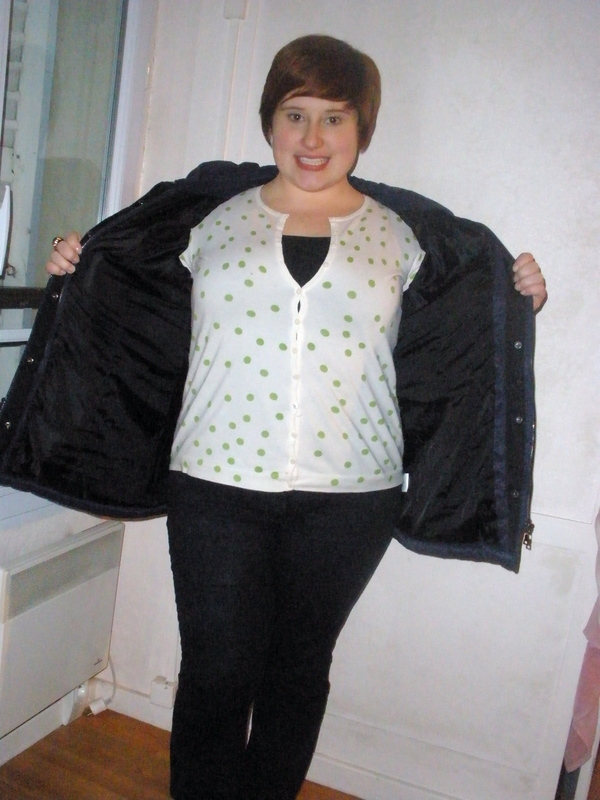 I have wiggle room in the jacket still so I can layer if ever necessary. The company, for the moment seems to sell only in boutiques as their site doesn't seem to be made for everyday purchasing, only buyers from stores. I really hope they will launch more into the plus size world as I'm confident they would do really well! The only place that I know of to buy Paz Torras is through Lola and Gigi - as their store locator doesn't actually locate stores and is all in Spanish. I hope you are all enjoying the end of the winter season, in Paris it has been getting warmer and warmer and feeling like Spring! You see it more & more brands making (some) pieces in a bigger sizes. Yay, for that. Been looking at their collection and it's very feminine. May I ask how their price range is? Is it comparable to Anna Scholz? Sadly enough the weather over here is rain-rain and more rain. Enjoy your weekend!